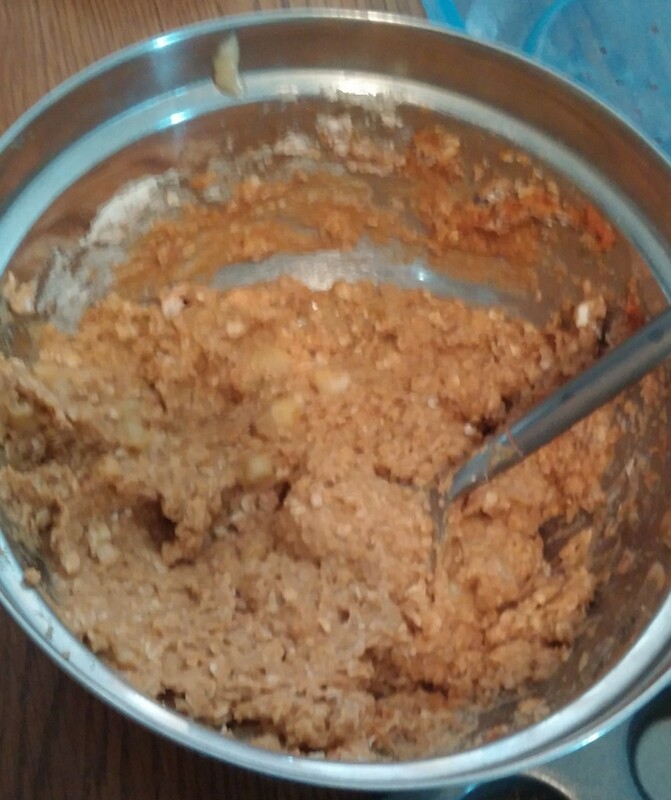 – Mix the flour, oats, baking powder, baking soda and cinnamon until well combined. 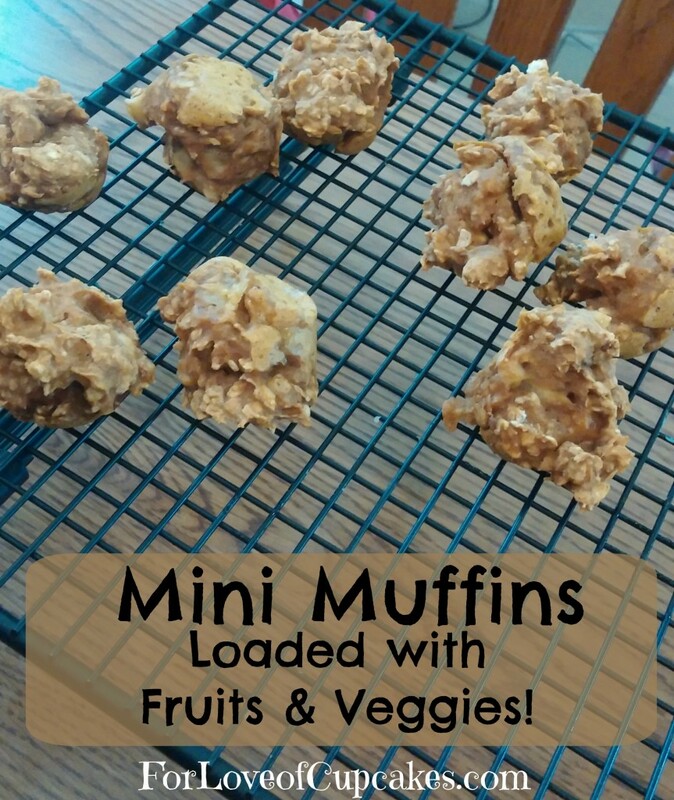 – Make a small hole in the center of the dry ingredients to add the fruits and veggies. 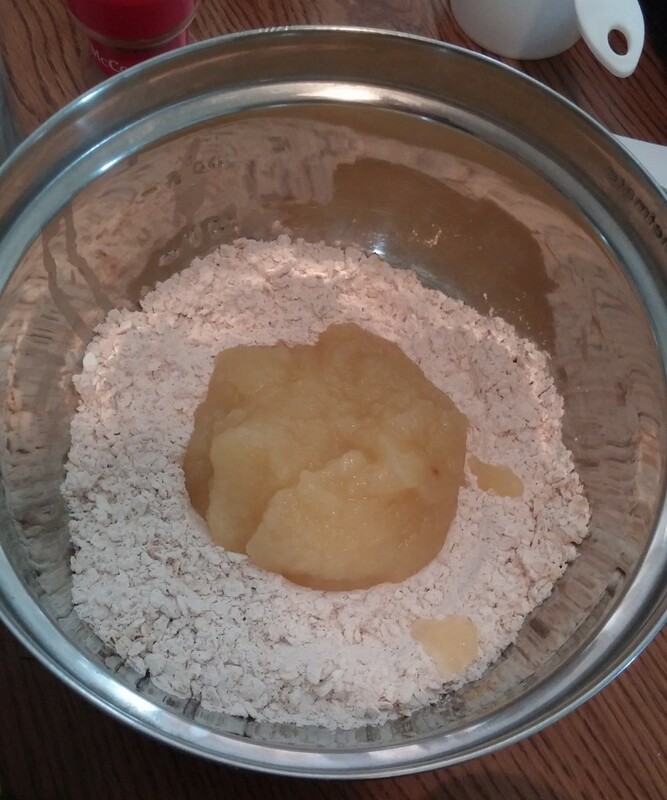 – Add mashed up banana, apple sauce, and pumpkin. – Mix it all up. 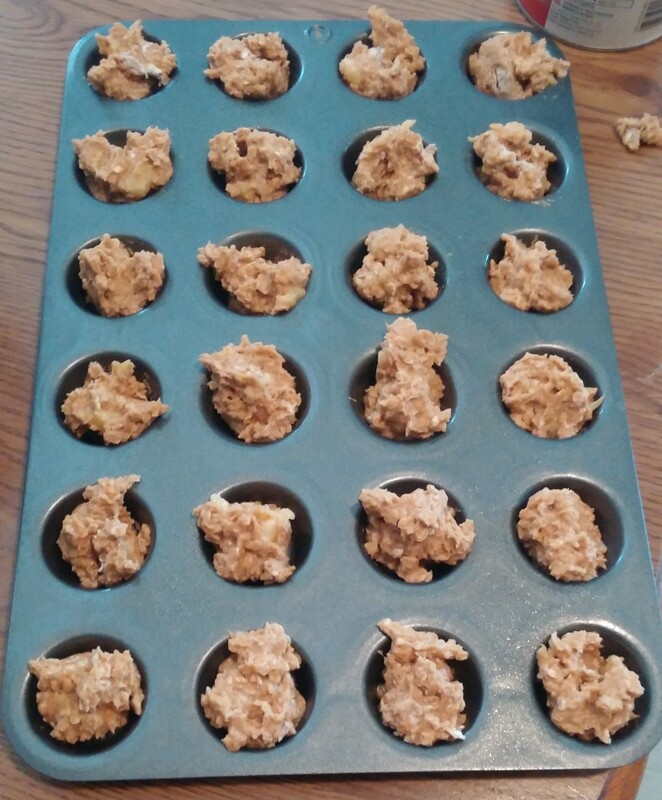 – Spoon the mixture into a greased mini muffin tin. – Bake for 12-14 minutes. 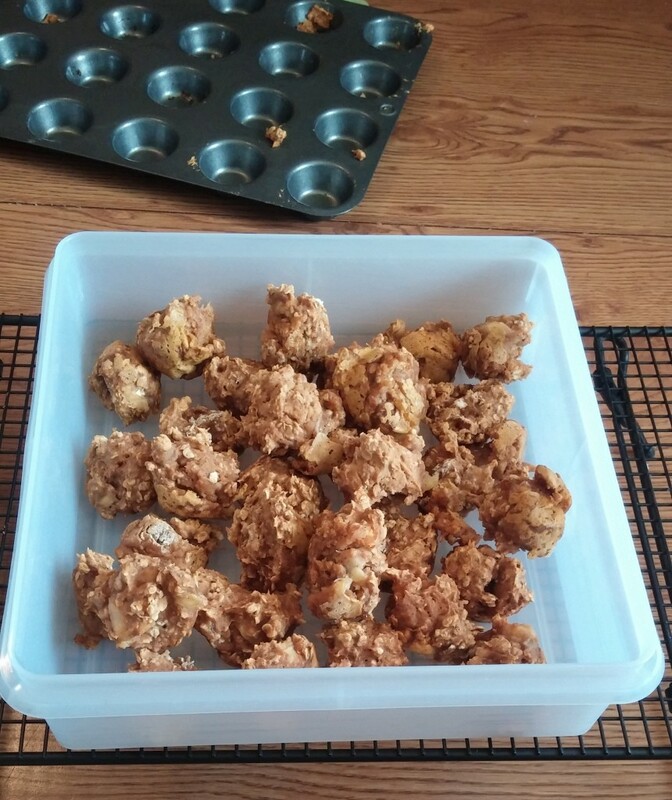 – Keep refrigerated in a container for up to 7 days. My kids (5 and 1) LOVE them!